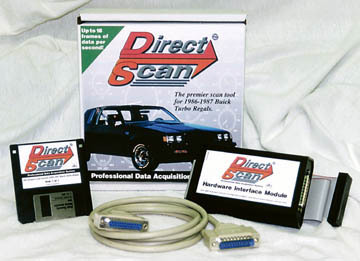 DirectScan is the premier scan tool for 1986-1987 Buick Turbo Regals. Engineered specifically for these vehicles and others utilizing the '86-'87 Turbo Regal ECM and drive train, DirectScan offers unparalleled data logging capabilities. Offering up to 18 updates per second with more than 60 data points per frame, amateur and professional Buick Turbo Regal racers alike can now benefit from virtual realtime display and data logging. All of this is possible through DirectScan's use of the factory included, yet little known, GM Factory Service port. This port allows DirectScan to connect directly to the car's engine control module (ECM). By doing so, one no longer must wait for the ECM to send data out the normal ALDL port. Instead, data is read and logged as it happens. Finally, the high performance associated with the Buick Turbo Regals now comes to the world of data logging. 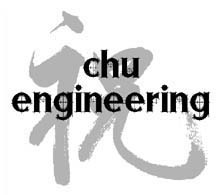 Open since March 4th, 1998!